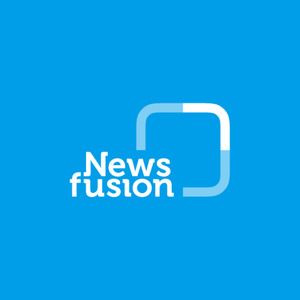 Newsfusion has developed the leading platform for automatic news curation and engagement. The platform emulates the work of a human editor, producing prioritized feeds, real-time push notifications, newsletters and chatbot news subscriptions - completely automatically and with scalable coverage (long-tail is baked in). More than 45% of our users open our apps within 3 hours of receiving a push notification. Newsfusion has built an array of engaging mobile communities powered by its platform. The communities are spread across a spectrum of verticals, from sports to hobbies to professional topics. Our communities provide highly-relevant content fully powered by our engine alongside gamified social mechanics. This winning combination has allowed us to reach leadership position for our mobile communities in Science, Cyber-Security, English Premier League teams, and more. Advertising - targeted advertising in the many vertical communities it owns and operates. SaaS - API licensing fees paid in a SaaS model by customers who are leveraging the engine to power feeds in their products, content recommendations and more. Our engine offers capabilities that do not exist in similar offerings. For instance, no other relevance engine can power automatic, highly engaging push notifications at scale for 1000s of topics. The only engine that performs human-quality curation. Our API is the only news API you can plug and play to power feeds without any human supervision. While other news APIs exist, none of them provides results that are relevant and noise-free at a level that allows sending them directly to consumers.